Celebrate Fashion Week in Style with Help From a West Palm Beach Salon! The latest in beauty technologies from Venus Concepts are here at 360 Beauty Health Wellness just in time for Fashion Week! Venus is a leader in health and beauty treatments from head to toe and the professional stylists and skin care team at 360 Beauty Health Wellness can use their technology to assist you in looking years younger. Using the top non-surgical options for wrinkle reduction and more, the specialists at 360 Beauty Health Wellness can offer short and long term aging treatments for all our clients. If you have never experienced a medical spa in West Palm Beach, FL then you should make an appointment with 360 Beauty Health Wellness as soon as you can! Our day spa in West Palm Beach offers many procedures which bring visible cosmetic changes with minimal recovery time and discomfort. Many of our treatments are able to be done in short appointments, allowing patients to return to their normal routine the same day of treatment. We utilize only the most progressive anti-aging treatments available and the options from Venus Concepts are often some of the most popular. Don‚Äôt settle for any West Palm Beach salon and spa, come visit a spa that‚Äôs truly dedicated to your well-being. At 360 Beauty Health Wellness, we consider beauty and health a whole-body investment. Whether you are a model, fashion enthusiast or you simply love to look your best, we focus on building treatment options that will enhance or maintain their natural beauty using non-surgical treatments is a top priority as they are pain-free and don‚Äôt require any downtime. Besides who wouldn‚Äôt want a youthful complexion and contoured body to complement a new outfit? The dedicated stylists, makeup artists and anti-aging professionals are ready and waiting to help you reduce signs of aging, improve self-esteem and feel confident in your own skin. What Makes the Best Hair Salon in West Palm Beach? When you‚Äôre looking to enjoy your best hair yet, it‚Äôs important to find a great hair salon in West Palm Beach. But, what does it take to earn the title of best around? At 360 Beauty Health Wellness, we know that it takes a lot to be the best, and we‚Äôre proud to have earned this distinction. If you‚Äôre ready to enjoy show-stopping hair, we invite you to visit our West Palm Beach salon for the highest quality care around. With our experienced stylists, unique approaches to hair care and dedicated client care, you‚Äôll be sure to enjoy stunning hair styles and looks. At our West Palm Beach salon, you can receive the best hair care around. From hair coloring, cutting and styling, we‚Äôve got you covered from root to tip. We offer deep conditioning treatments, along with invigorating coloring treatments that can help you enjoy stunning style. Our expert stylists can help you transform your existing style into something brand new, or we can shape up your existing style into updated beauty. Whatever hair care procedures you choose, you can rest easy knowing that you‚Äôre in great hands when you work with our experts at 360 Beauty Health Wellness. You can visit our salon for the most immersive style and beauty experience, helping you feel completely pampered from head to toe. Whether you‚Äôre looking to transform your style or enhance your current look, we‚Äôre here to help. Finding stunning hair care and style doesn‚Äôt need to be a challenge when you trust in our expertise at 360 Beauty Health Wellness. You can always complete your hair makeover with a complete style revival through our additional spa services. At 360 Beauty Health Wellness, we believe in helping you put your best self forward, and with our full array of pampering services, you‚Äôll be sure to look and feel your very best after visiting our hair salon in West Palm Beach. To get started, simply call (561) 207-8621 to schedule your appointment. Isn‚Äôt it Time to Treat Yourself to Our Spa Services? At our day spa, we‚Äôre all about relaxation and comfort. When‚Äôs the last time you took a moment to sit back, relax and get pampered? If you‚Äôre feeling stressed, or if you‚Äôre just in need of a little relaxation, our spa is the place to go! Your skincare needs a little help. Whether you‚Äôre looking to start up a new skincare routine, or if you‚Äôre looking to give your skin a little extra life, our spa is here to help. With our wide variety of facials, you can treat acne, signs of aging or general skin issues. You‚Äôll be sure to leave our day spa in West Palm Beach with your best skin yet. Your wrinkles need a little softening. Our day spa is so much more than just a place for facials, hair and nail care. We also offer soft tissue fillers such as Belotero, Juvederm, Radiesse and Botox. We‚Äôre happy to help treat wrinkles, fine lines and deep facial folds with our soft tissue fillers. You need a girl‚Äôs day. Is there anything better than heading to the spa for a relaxing day of facials, manicures and massage treatments such as reflexology, pre-natal and hot stone massages? Of course not! Our spa is the perfect spot for a girl‚Äôs day, baby shower or pre-wedding day of relaxation for a bridal party. You‚Äôre ready to look and feel your very best. If you‚Äôre ready to bring great improvements to your natural beauty while enjoying the utmost tranquility and relaxation, there‚Äôs no better place than our spa at 360 Beauty Health Wellness. We‚Äôll help you enjoy the utmost relaxation and rejuvenation of your style. These are just a few of the reasons to stop by our salon and spa in West Palm Beach. With so many different services under one roof, you‚Äôll be sure to enjoy the utmost comfort and quality of service as you allow our specialists to paper you. Everyone deserves a spa day now and again to rejuvenate their style and spirit. If you‚Äôre ready to relax, we invite you to schedule your personalized spa session by calling (561) 207-8621. What Are You Looking for in a Salon and Spa? Fair or unfair, we‚Äôre all judged by our appearance. Although we all show the physical effects of growing older, there are health and beauty treatments available to help rejuvenate our hair, skin and nails. Each one of us has potential. But it‚Äôs up to each individual to achieve it. The same goes with health and beauty. When it comes to your appearance, you don‚Äôt have to spend huge amounts of money on expensive plastic surgery treatments. One salon in West Palm Beach utilizes the best spa services to help each customer look and feel their very best. At 360 Beauty Health Wellness, we use a comprehensive and holistic approach to help each client achieve their health and beauty goals. There are many types of salons and spas. But very few offer the wide variety of spa services in West Palm Beach as 360 Beauty Health Wellness. That‚Äôs because 360 Beauty Health Wellness is actually two salon and spas put together. Local health and beauty experts Cosmo Dischino of Cosmo & Company along with Susan MacPherson of Beaute Therapies Medical Spa have combined their efforts to create ultimate salon and spa in West Palm Beach. Both combine nearly 60 years of experience in the industry. Going to salon and spa isn‚Äôt going to solve all of your problems. But you‚Äôre going to feel and look a lot better. Our health and beauty professionals can work with you to help you achieve your goals. By using a holistic approach to beauty and wellness, we believe in addressing the physical, mental and spiritual aspects of your health. When you look and feel better, life becomes far more enjoyable. Experience the difference a salon and spa in West Palm Beach can make on your life. Visit the professionals at 360 Beauty Health Wellness today. Where Can You Find The Best Spa Services in West Palm Beach? Life is always better when we look and feel our best. We feel energized and more enthusiastic about life. There‚Äôs a feeling of confidence that carries over to our work, family life and our relationships. While there is no magic pill or Fountain of Youth, visiting a day spa is a great way to focus on beauty and wellness. When it comes to spa services in West Palm Beach, more people are turning to the professionals at 360 Beauty Health Wellness. The professionals at Cosmo & Company Salon & Spa along with Beaute Therapies have combined their efforts to create the most complete day spa in West Palm Beach. The best part is our spa services in West Palm Beach are affordable and effective. Instead of spending a significant amount of money visiting a dermatologist, our staff of health and beauty experts can help restore your skin to a more youthful looking glow. Unlike other salons in West Palm Beach, our team of licensed beauty and health experts can also provide place a holistic approach to beauty and wellness. This means we address the physical, mental and spiritual aspects of beauty and health. When you look and feel your best, your overall quality of life improves. While many people are afraid to visit the doctor, visiting a medical spa in West Palm Beach should be an enjoyable experience. Relax and indulge as our team of health and beauty professionals pampers you with the best in health and beauty treatments in a relaxed and tranquil atmosphere. Your health is the most important aspect of your life. Our facility is the best place to escape from the stressful effect of everyday life. Stop by 360 Beauty Health Wellness discover the great benefits of our spa services in West Palm Beach. How Can our Salon and Spa Enhance Your Next Party? Bridal showers, ladies‚Äô nights, reunions and baby showers, there are so many different events that are best held in a pampering and tranquil environment. Instead of working to coordinate all the makeup artists, hair stylists, aestheticians, manicurists and other professionals you‚Äôll need for your group‚Äôs pampering spa day, why not just stop into our West Palm Beach salon and spa? Our team at 360 Beauty Health Wellness offers the full circle of treatments that your closest friends can enjoy in an exclusive spa day. With our help, you can host a relaxing and tranquil baby shower, bridal shower, spa day or any other event at our tranquil spa. All the services and specialists you‚Äôll need are right under one roof! At 360 Beauty Health Wellness, we‚Äôve worked to coordinate a wide array of services that can leave everyone feeling relaxed and pampered. For example, our massages, manicures, pedicures and facials bring beauty and relaxation together. 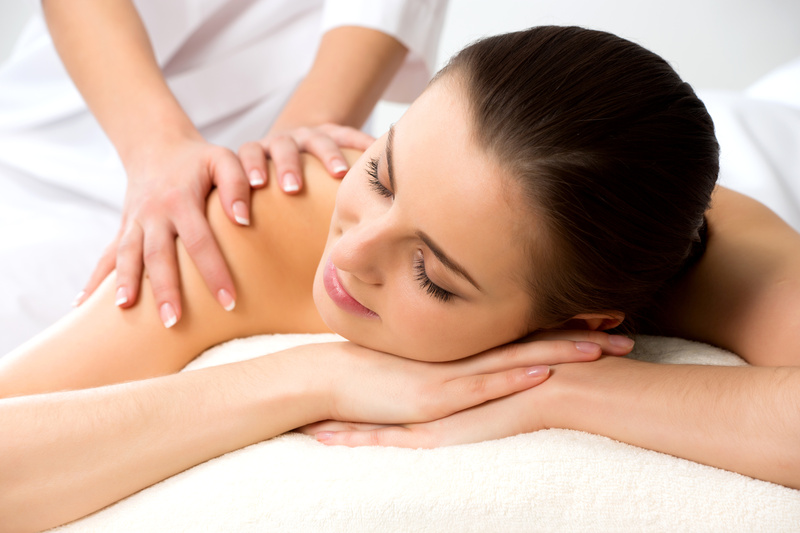 We offer many different massages such as reflexology, hot stone massages and even gentle pre-natal massages. For bridal showers, our silk dermal infusion facial can bring a refreshed and illuminated facial appearance. This facial revitalizes face, chest and neck skin by exfoliating with micro crystals that reduce the appearance of pore size, fine lines and wrinkles. At our West Palm Beach salon, we also offer finishing touches such as waxing, brow shaping and full professional makeup applications. While you may visit our medical spa as a group for your facial filler procedures, you can rest assured that every member of your party will receive customized service for the most effective facial fillers in West Palm Beach. Some women within the group may have deep folds around their lips, and these types of folds are often best addressed with Juvederm injections. For wrinkles around the forehead, Botox may offer the best results. There are many ways our West Palm Beach salon and spa can help bring beauty to your next party. Whether you‚Äôre having a baby shower, bridal shower or anything in between, our aesthetic specialists at 360 Beauty Health Wellness can help enhance your gathering. In our tranquil salon and spa, you can sit back, relax and enjoy luxurious services. To learn more about our group events, please call our office at (561) 207-8621. Ready for Your Summer Makeover? Visit Our Hair Salon! Think about how quickly fashion changes. What‚Äôs in season one month can be old news the next. While clothes are constantly changing, many people don‚Äôt realize that hairstyles and makeup looks are starting to transform just as quickly. Are you still wearing a hairstyle from years ago, or an eyebrow look that‚Äôs not keeping pace with today‚Äôs new looks? Our team at 360 Beauty Health Wellness invites you to step into our tranquil medical, hair and day spa. At our hair salon in West Palm Beach, you can receive a fully transformed and modern look. If you‚Äôre ready for your summer makeover, it‚Äôs time to stop by! At 360 Beauty Health Wellness, we offer a full suite of services to help you revamp your look. We‚Äôre more than just a hair salon or medical spa. We‚Äôre an immersive beauty experience, offering the services of salons, spas, medical spas and additional aesthetic treatments. All of our services are offered under one roof, bringing comfort and convenience to each client. One of the fastest ways to make considerable changes with your look is to try out a new hairstyle. At 360 Beauty Health Wellness, our hair stylists and professionals know that the perfect hair style is one that matches your levels of upkeep and style. We can color hair with double process, full highlight, color correction and even glazes. We also offer haircuts for men, children and women. For additional hair procedures, we can revitalize hair with deep conditioning treatments, nourishing perms, relaxers and Arrojo waves. Of course, a makeover isn‚Äôt just about the hair. At 360 Beauty Health Wellness, we also offer waxing, manicures and additional salon services. We can even address wrinkles and crow‚Äôs feet with injectable dermal fillers and treatments. For the finishing touches, you can count on our team of skilled West Palm Beach makeup artists and hair salon stylists. One visit into our relaxing spa at 360 Beauty Health Wellness, you‚Äôll become transformed with treatments and procedures that highlight your natural beauty. Summer is all about awakening your look. If you‚Äôre wearing winter‚Äôs dismal shades or if your grey hairs are starting to add a snowy hue to your sunny look, it‚Äôs time to visit our salon and spa! From traditional spa services to dermal fillers, our team at 360 Beauty Health Wellness can help you revitalize your look. From start to finish, we‚Äôll work to ensure that we‚Äôre creating new styles that you‚Äôre only 100 percent comfortable with. If you‚Äôre not sure where to start on your makeover, stop by our salon and spa today. We can help you discover the services that‚Äôll have you looking and feeling your best. Which West Palm Beach Salon and Spa can Make Wedding Season a Breeze? With the summer months comes two seasons that can bring major frustrations to unprepared South Floridians. The start of summer marks the beginning of hurricane season and wedding season. Even though hurricanes are a constant fear in our memories, wedding season brings its own share of frustrations. At 360 Beauty Health Wellness, our West Palm Beach salon and spa can help you make the most of this wedding season. We provide almost any service you‚Äôll need to keep you prepared for any turn this wedding season takes. When you stop by our West Palm Beach Salon and Spa, you‚Äôll enjoy the full range of beauty services that can have you wedding ready. We can accommodate individual appointments, or entire bridal parties for group makeovers. No matter which service you choose, you can rest assured you‚Äôll look your very best this wedding season. At 360 Beauty Health Wellness, we‚Äôre more than just a salon and spa. We also offer safe, effective and comfortable medical spa services aimed at your success. We can bring drastic improvements to your look with facial fillers in West Palm Beach. We work with all types of fillers such as Botox, Radiesse and Juvederm. These fillers can lift and restore facial lines, filling in wrinkles, fine lines and even reducing scars. Additionally, facial fillers can restore facial fullness, rejuvenating your look to a natural youthful appearance. In addition to facial fillers, we offer several other procedures at our medical spa. We can reduce and even eliminate spider veins and varicose veins with Sclerothrapy. Laser treatments are another service we offer at 360 Beauty Health Wellness, these treatments can address wrinkles, cellulite and loose skin. In addition to traditional salon and spa services, we also offer additional procedures at 360 Beauty Health Wellness. We work with West Palm Beach makeup artists from the best cosmetology schools and professional programs. These makeup artists can create a one-of-a-kind wedding day look that‚Äôs sure to impress! Wedding season is here, and with our help you‚Äôll be able to look and feel your very best. Whether you‚Äôre attending a wedding as a guest, part of the bridal party or you‚Äôre the bride herself, we‚Äôve got the services that can help you prepare. To learn more about our services, we encourage you to call our West Palm Beach salon and spa at (561) 207-8621. Which West Palm Beach Salon and Spa Can Help You Make the Most of Wedding Season? Bridal Parties: If you‚Äôre preparing for your big day, or if you‚Äôre part of a bridal party, visiting our day spa in West Palm Beach can bring your ladies the pampering they need before the wedding bells ring. A day at the spa is a wonderful way to relax, it‚Äôs the perfect way for a bridal party to socialize and beautify. Finishing Touches: At our West Palm Beach salon and spa, we offer almost any cosmetic process you‚Äôll need to prepare for a wedding. If you‚Äôre walking down the aisle, we can give you the manicure and pedicure you need to touch up the little details of your overall wedding look. Hair Styling: Our L‚ÄôOreal accredited hair salon can take care of any of your wedding hair needs. Whether you‚Äôre attending a wedding as a guest, a member of a bridal party or the bride herself, we can give you the look you need. In fact, we can even get the groom ready with our haircuts for men! Makeup Expertise: The right makeup is vital to tie together an overall wedding look. If you‚Äôre attending a wedding, you‚Äôll be sure to look your very best when you trust in our makeup services. We work with the most qualified West Palm Beach Makeup artists, professionals who can complete any makeup look, from natural to glamorous and anything in between. Medical Spa Services: If you have some imperfections you‚Äôd rather push out of the spotlight before a wedding, we can help. Our salon and spa includes medical spa services administered in a sterile and safe environment. We can help you look and feel your best with facial fillers and other non-surgical procedures in the months before a wedding. There are many other services that we provide at 360 Beauty Health Wellness, all aimed at helping you feel wedding ready. Whether you‚Äôre simply attending a wedding as a guest, acting as part of a bridal party, or if you‚Äôre the bride, we can help you put your best face forward. Reservations are booking up fast, call us today at (561) 207-8621 to schedule your appointment! Can a Day Spa Help You Prep for Prom? Prom season is right around the corner, chances are you‚Äôre already looking for your perfect prom dress. Once you‚Äôve got the dress, shoes and accessories you might think you‚Äôre prom ready. You‚Äôre not prom prepared quite yet, you need the best hair and makeup styling to feel completely prom ready. The day you get ready for the big dance can get hectic, the last thing you want to do is drive from the hair salon all the way to the nail parlor then full circle to a makeup studio. Why not make one stop that can get you prom prepped all under one roof? When it comes to creating your perfect prom style, our team at 360 Beauty Health Wellness can get you looking your best. We offer all the styling services you‚Äôll need, all under one roof at our day spa in West Palm Beach. The base of your prom look can be provided by our spa services in West Palm Beach. There are certain aspects of your overall style you may not have considered, such as hair removal for those strapless dresses. We offer waxing services that can have you feeling and looking your very best. We also have the nail services which will accent your dress perfectly such as manicures, pedicures, acrylics, gel manicure, French tips and no chip manicures. 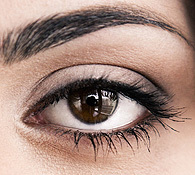 You can also have eyebrow waxing, shaping and eyelash extensions at our salon. Your makeup can make or break your prom look. At 360 Beauty Health Wellness, we offer a great variety of makeup services. Our most popular prom makeup is our Red Carpet Ready makeup application. This glamorous look is applied by the finest West Palm Beach makeup artists. These makeup artists can help you feel like a true star as you‚Äôre pampered in our spa. All you have to do for that 5 star prom look is sit back, relax and let our makeup artists work their cosmetic magic. When it comes to prom style, the hairstyle you wear is just as important as the dress you choose. At 360 Beauty Health Wellness, our hairstyles are the cornerstone of our business. We understand the impact a great hairstyle can have on your overall look, which is why we take the time to make sure your style looks the best it can be. We offer full salon services such as hair cutting and dying. We also offer the best styling and blowouts, helping you transform your hair‚Äôs look for prom. Our most popular prom package is our Prom Queen Style deal which includes the $90 Glamorous Hair treatment with our specially priced $50 Red Carpet Makeup professional styling. You can add dramatic lashes to the deal for only $15. This Prom Queen Style package is customized to each client to match their overall prom look. This amazing deal is exclusively for prom attendees and spots are filling up fast! Call to book your session today!